Art is a natural way for children to express their feelings and ideas. Looking at, thinking about and particularly making art together helps children build community and see themselves as important parts of their world. This series capitalizes on children’s natural relationship to art by prompting them to examine the ways art relates to community leadership and activism. The lessons can be used individually or as a full series and are not dependent on sequence. Lesson One: Art and Community Activism. Students are introduced to the concepts of art and community activism and have a chance to discuss their understanding of these terms. Lesson Two: Who Are the Activists in My Community? Students develop a understanding of local community and consider what attributes make someone a community leader or activist. Students learn about visual symbols that have played an important role in LGBT movements. Students explore how artists can advocate for equal rights for people with physical disabilities using universal design. Lesson Five: Art and Social Justice: What is a Portrait? Students analyze portraits of well-known African Americans and consider the role of portraiture in fighting racial stereotypes. Lesson Six: Art and Social Justice: What is in a Self Portrait? Students analyze how artists of color have fought racial stereotypes through their work. Students work collaboratively to select a message or theme for a communal activism mural. Students work collaboratively to determine the artistic elements of their communal activist mural. Students begin collaborative work on their communal activism mural. Students complete collaborative work on their communal activism mural. Students invite people from their school, families and community to view their activism mural and share in the lessons they have learned about the relationship between art and activism. Students reflect on the different concepts they have engaged with over the course of the series and set goals for themselves as community members and potential artist activists. These lessons address the following standards using the Common Core State Standards for English Language Arts. 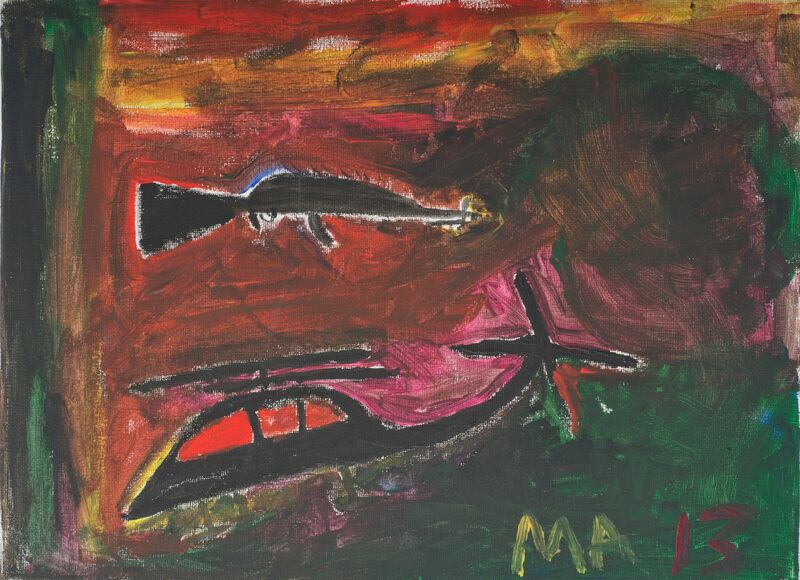 Art is providing a powerful emotional outlet for a group of child refugees. Youngsters who have settled in southeast England after fleeing unaccompanied from countries such as Syria, Sudan, Eritrea and Afghanistan have been tackling the trauma of displacement at British Red Cross-backed creative projects. Some of those 14 to 19-years-old will now showcase their works at the free “All I Left Behind, All I Will Discover” exhibition at London’s OXO Tower from June 21 to 25.